Look what I am doing today! Yup, it's the time of the year when I get that exciting feeling that spring is just around the corner! It is 8 weeks before the last frost here in Midwest and I am pulling out my seed planting supplies. I will walk you through my process of planting seeds indoors - it is easy and effective! The 2 main supplies you see above are deep see through plastic bins that hold the pots and the pots. I got these bins and lids in IKEA and the pots came from Walmart. 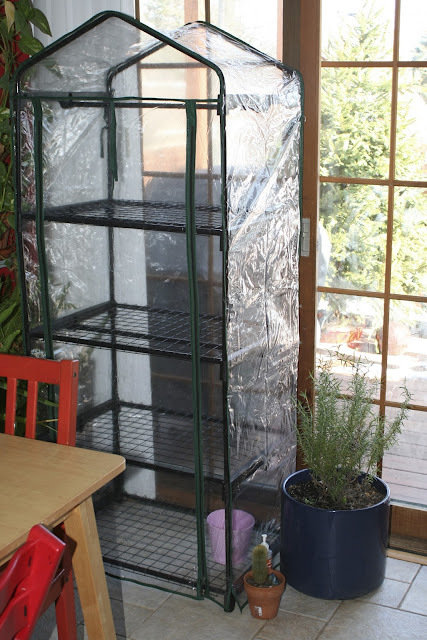 The reasons I use these bins are two - to hold my water to help me keep the plants moist; and to give the seeds extra green house effect because they are deep enough for me to cover them with the lid and keep the warmth and moisture inside. 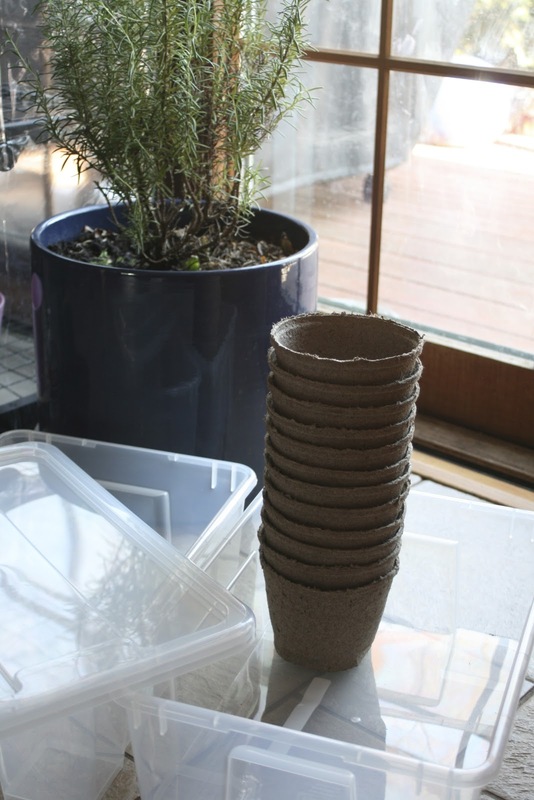 I am planing on investing into actual plastic pots so that I can reuse them every year, however I didn't find good price in the stores so I will have to browse the internet. These will have to do for this year. (These are the pots you can plant directly into the ground with your small plant.) I also use yogurt cups for veggies I transplant into my garden earlier in the season such as kale, brussel sprouts, or broccoli. The only thing you have to do is drill drainage holes into the bottom of a yogurt cup. Don't forget to purchase organic seed starting soil mix for a good quality produce. 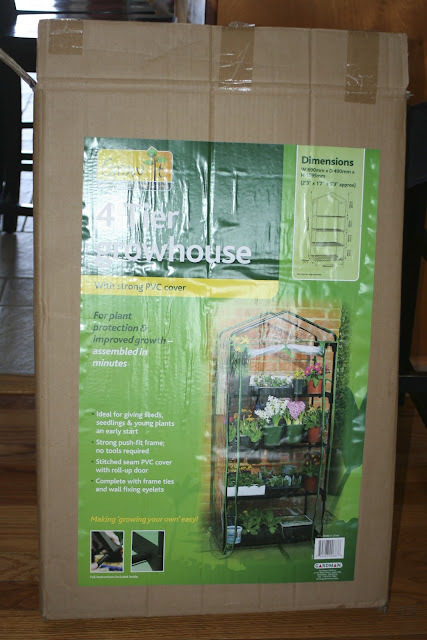 Another thing I learned is very essential for successful seed starting is to have a green house. Last year was the first time I tried it and it worked wonders! This is the one I purchased and it only cost around $20 in season! I put it up with the kids and I will take it down for easy storage in May. This is how it looks when put together - perfect size for the porch door in our small dinning room. Now hubby will just install the grow lights for me and I am good to go. Please tune in over the weekend for a step by step guide how to effectively plant your seeds, and also what plants to start indoors and which ones are just fine to start outdoors.